What drives you to do this event? Will you be raising money for charity? Please tell us a few fun facts about yourself. It can be anything! Any medical conditions or allergies we should be aware of? Race Acceptance - I understand that acceptance into the event is based on review of my application & qualifications, and that I may be contacted for a phone discussion prior to final registration approval. Potential Changes - I understand that details about the race as outlined on the epic5.com website are subject to change if the Race Director deems necessary for runner safety, permitting, or other possible challenges that may arise between registration and race day. 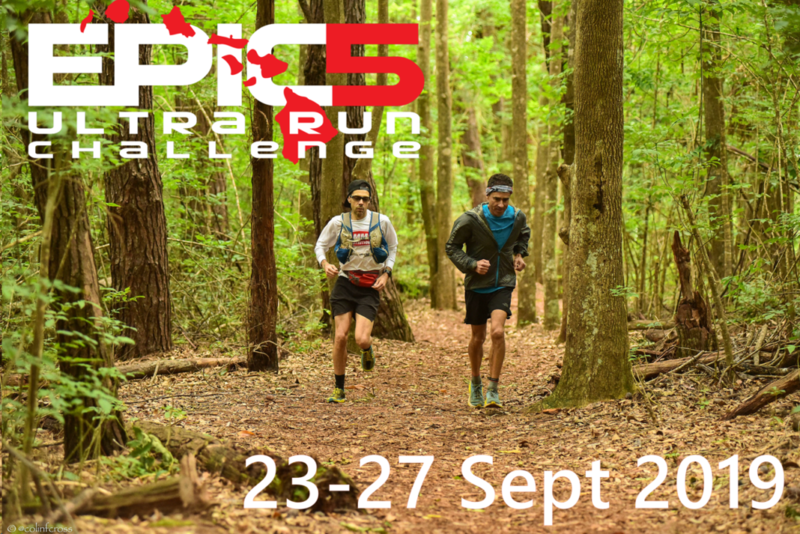 Race Level - I acknowledge that the EPIC5 Ultra Run Challenge is not an entry level running event and as such, some or all of the courses may be difficult with steep elevation gain/loss and on a combination of road, trail and sand.